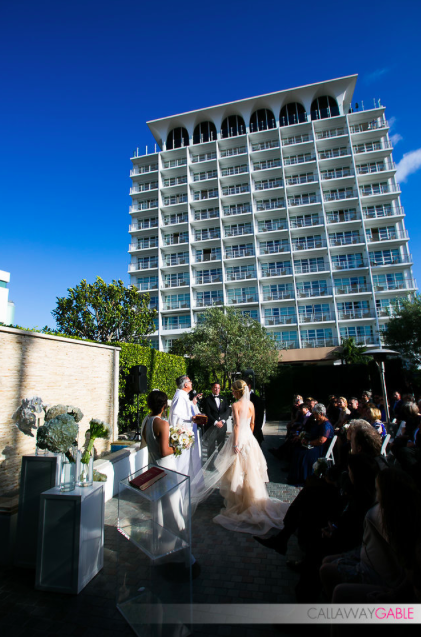 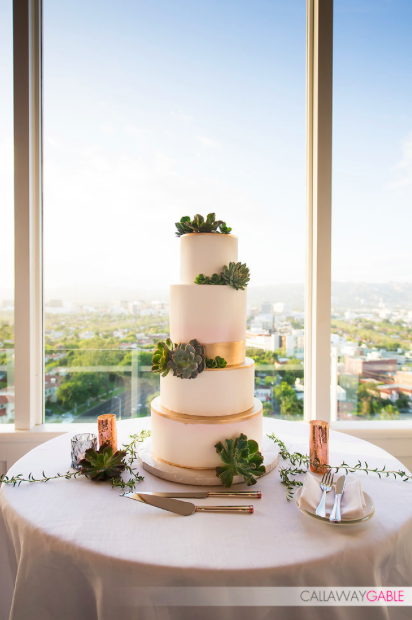 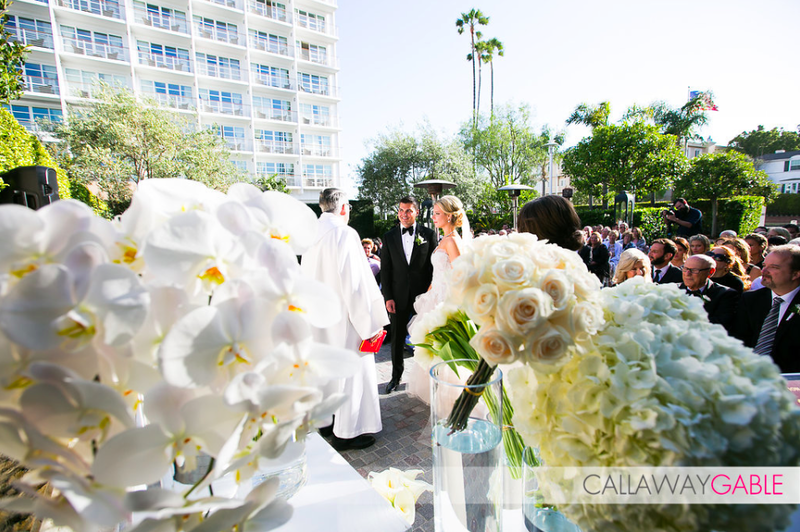 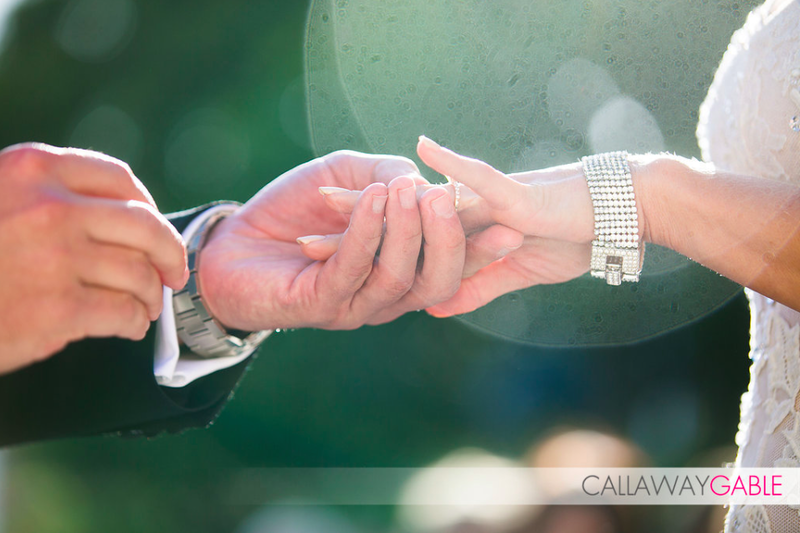 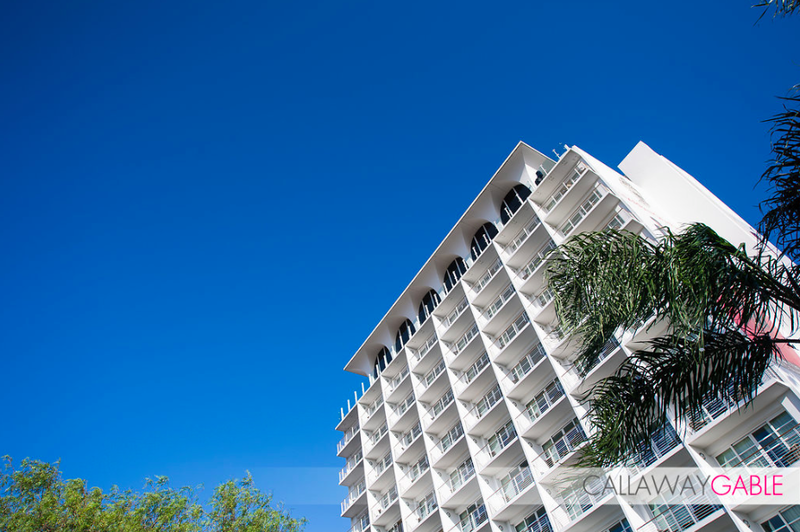 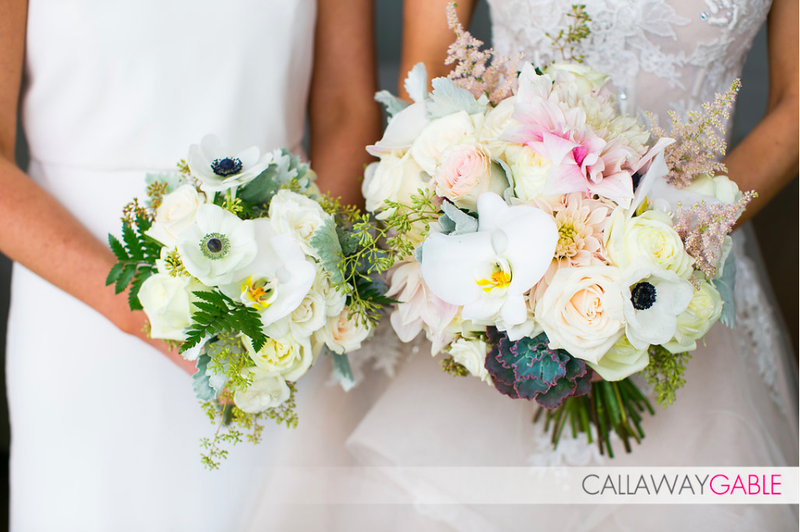 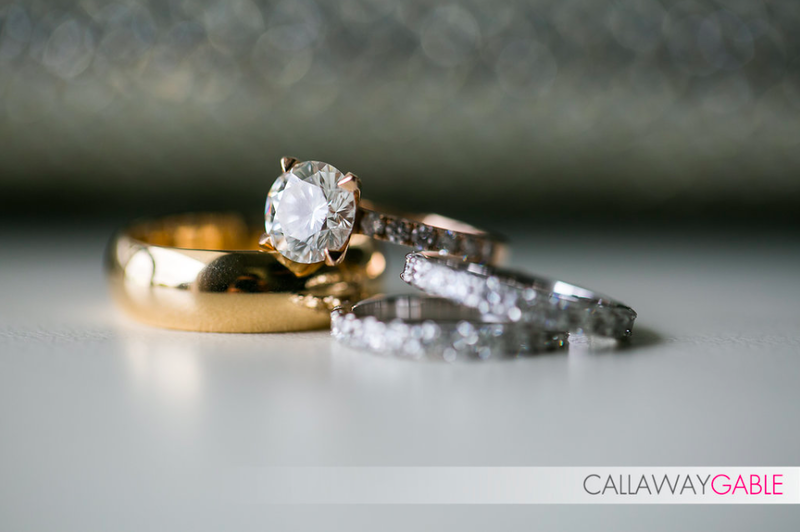 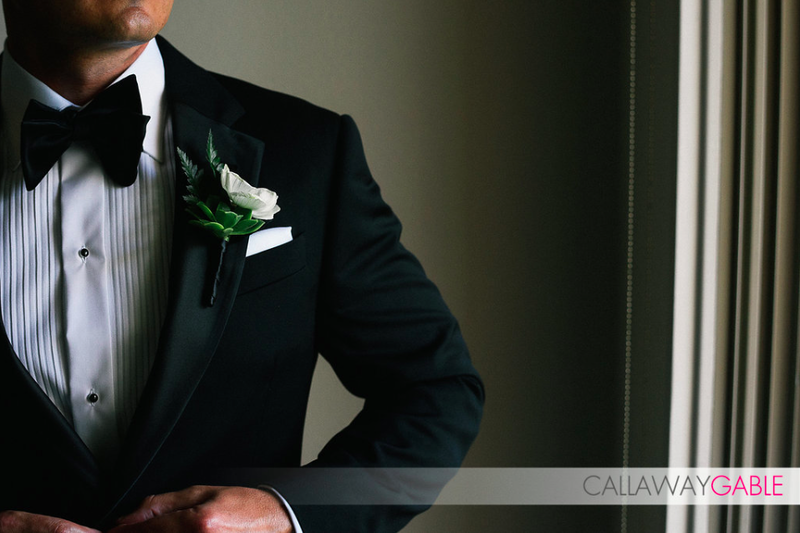 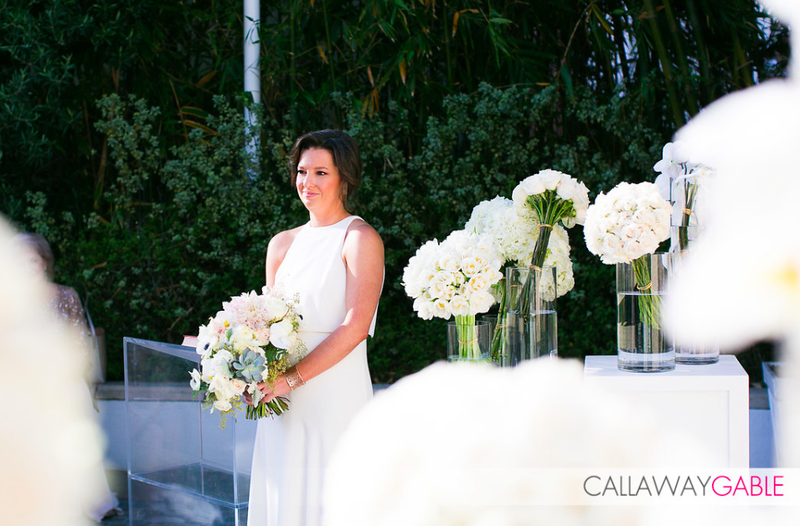 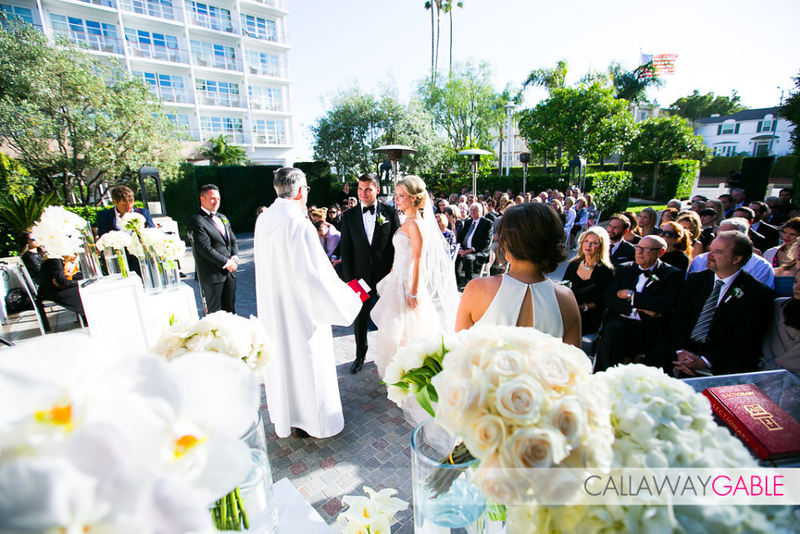 On a sunny day in the beginning of May, Jenny and Tom said their nuptials at the beautiful Mr. C's hotel in Beverly Hills. 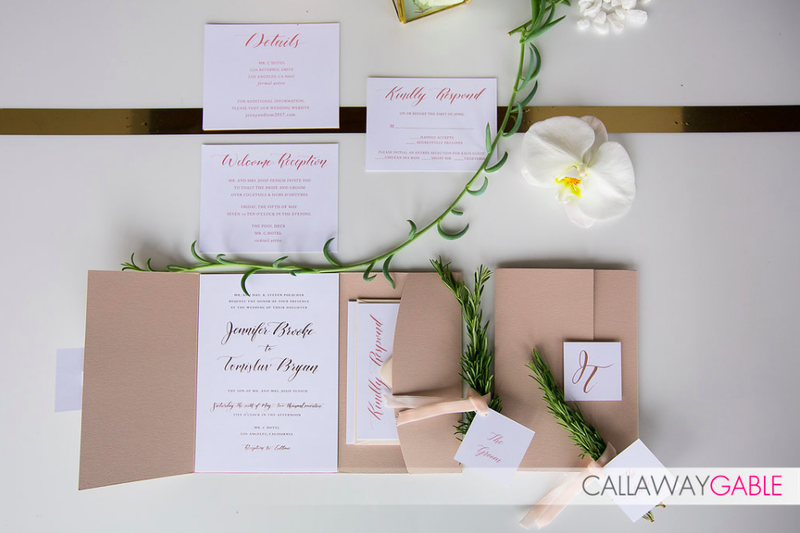 The couples wedding was as sleek, modern, and classy as it could get. 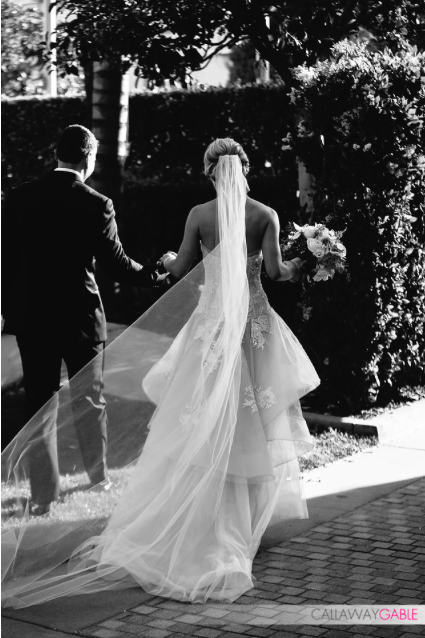 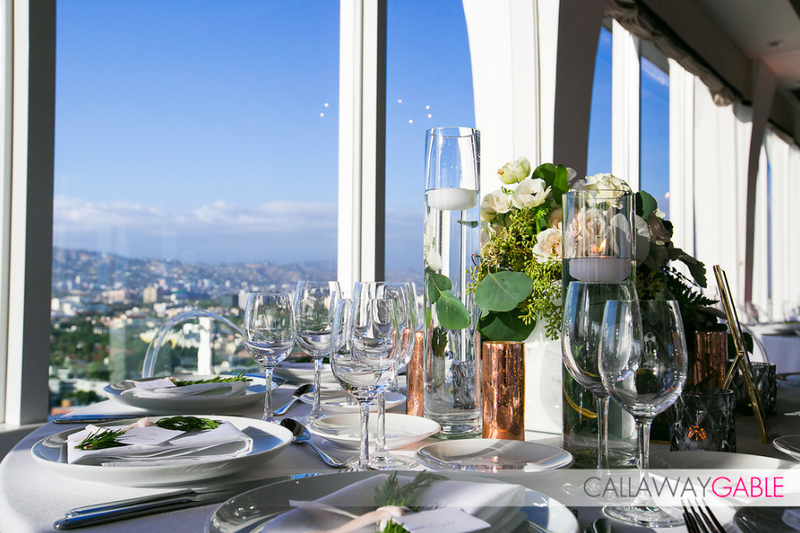 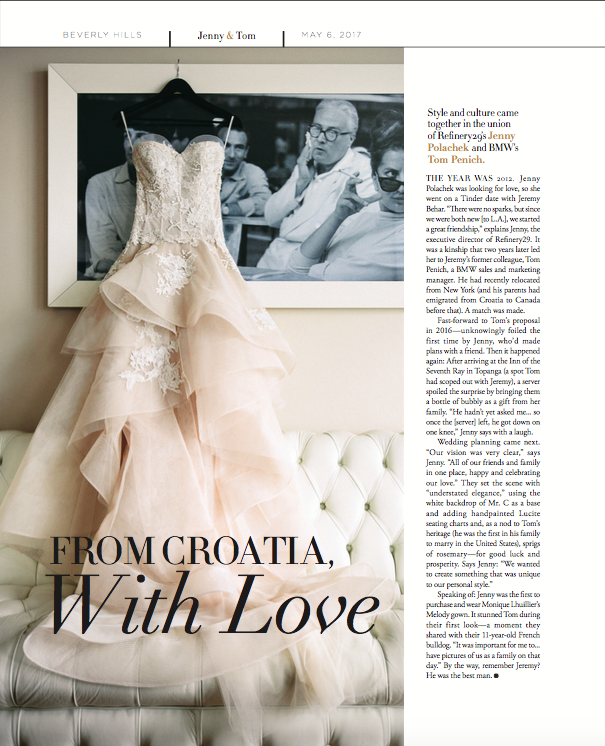 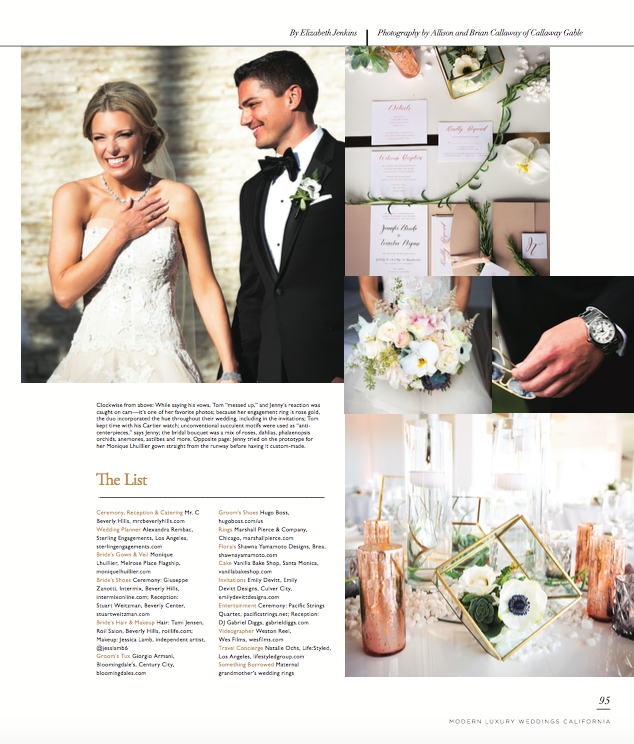 It was so stunning that their fabulous day has been featured in the latest issue of Modern Luxury Weddings California. 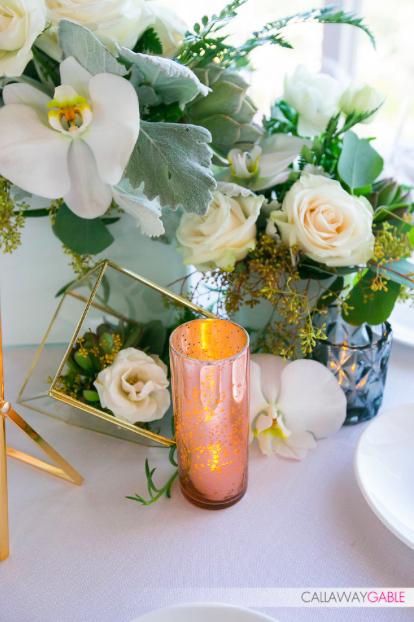 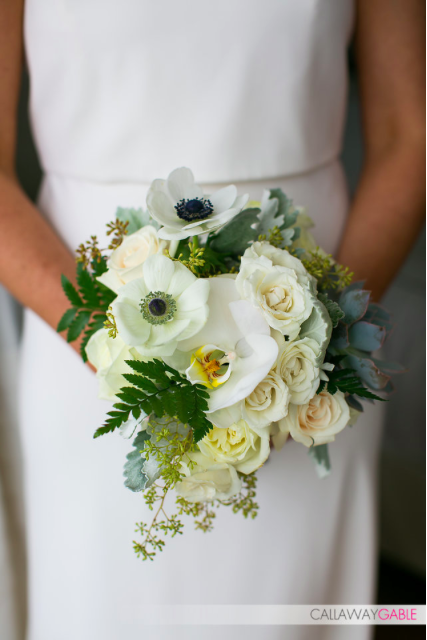 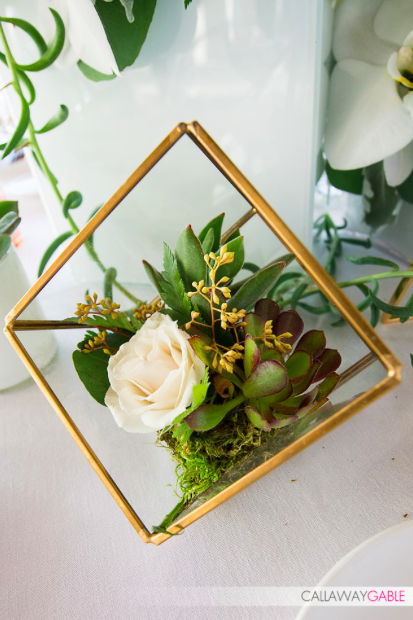 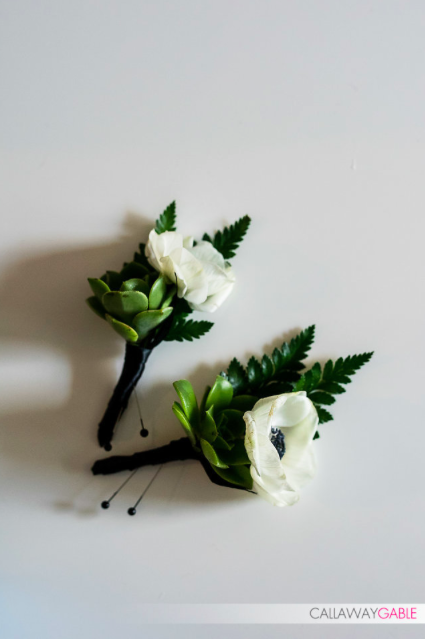 Jenny being the Executive Director of Refinery29, a publication we adore might we add, is most definitely on trend even in what she wanted for her wedding. 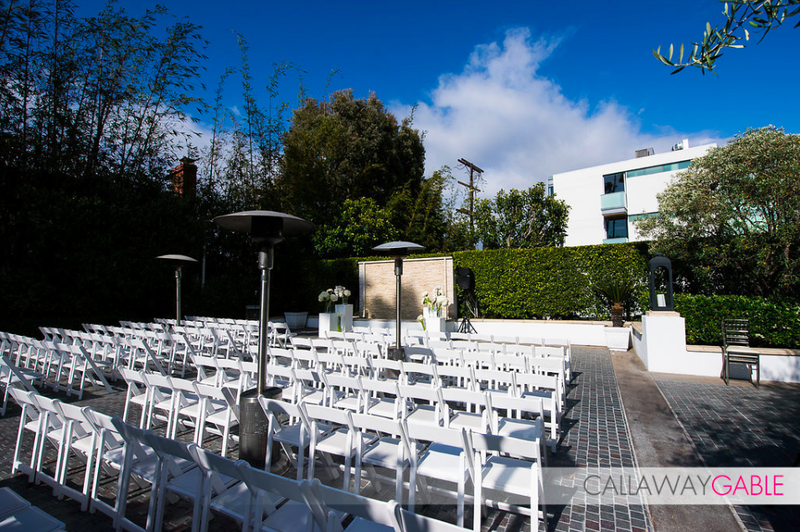 The ceremony took place outdoor which was the perfect setting. 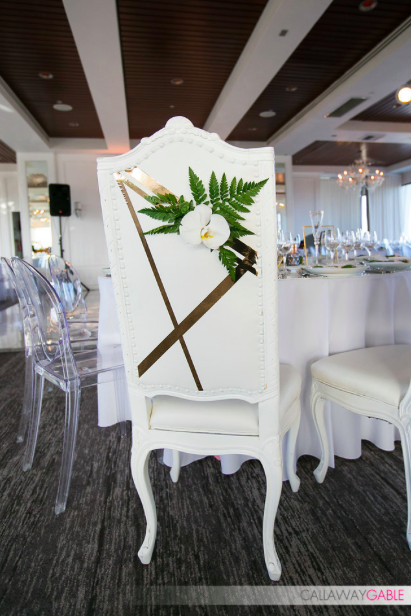 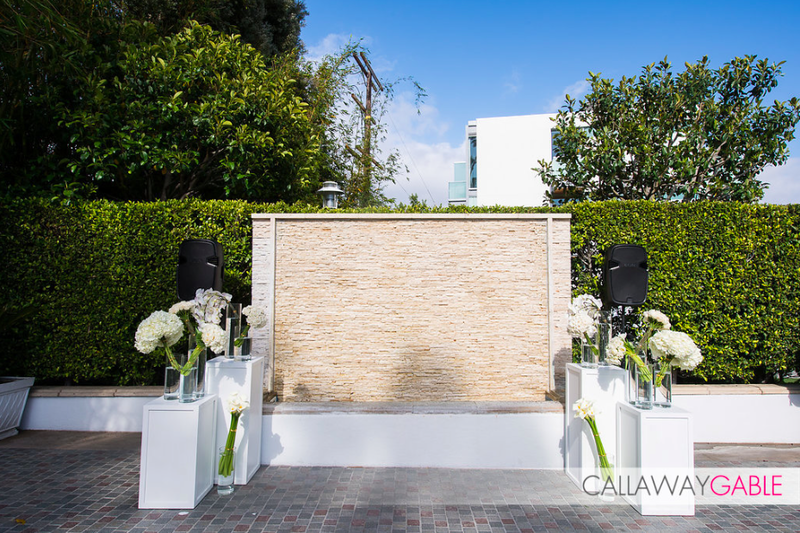 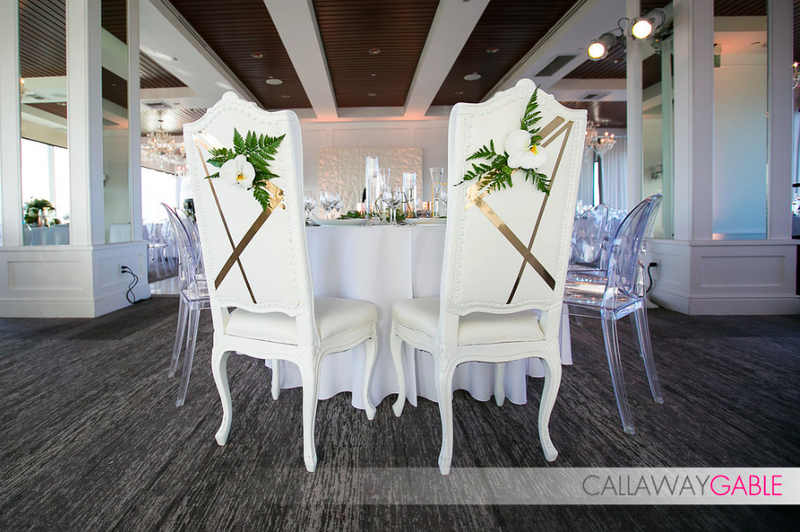 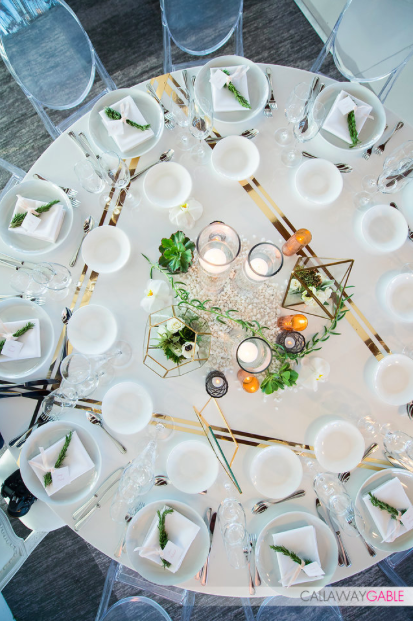 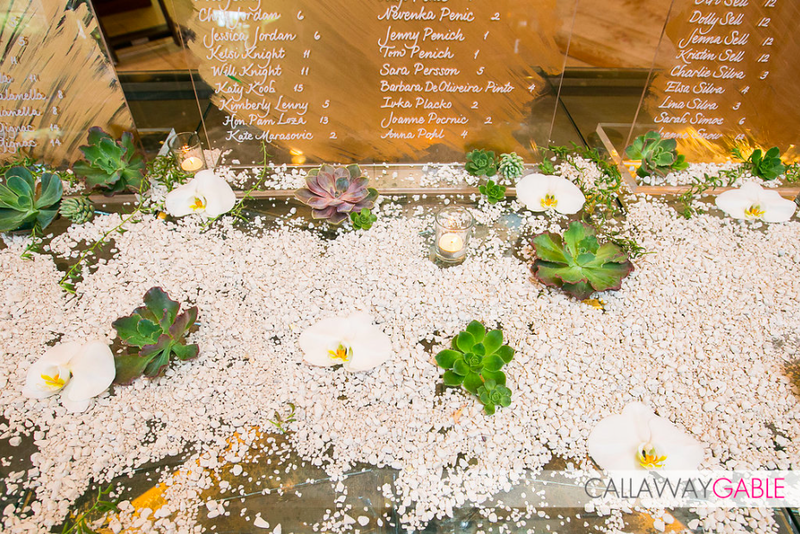 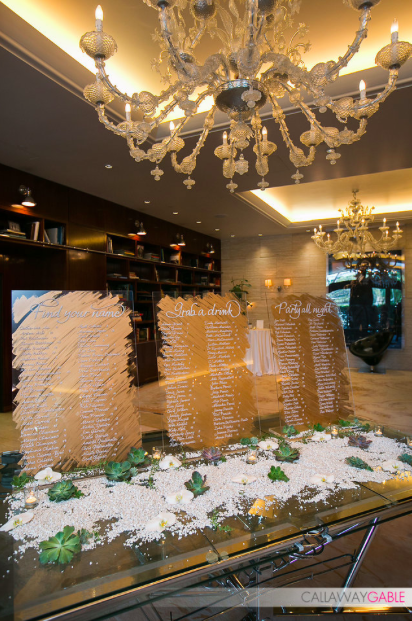 With simple and sleek decor, the overall design was incredible sophisticated and mirrored the couples style perfectly. 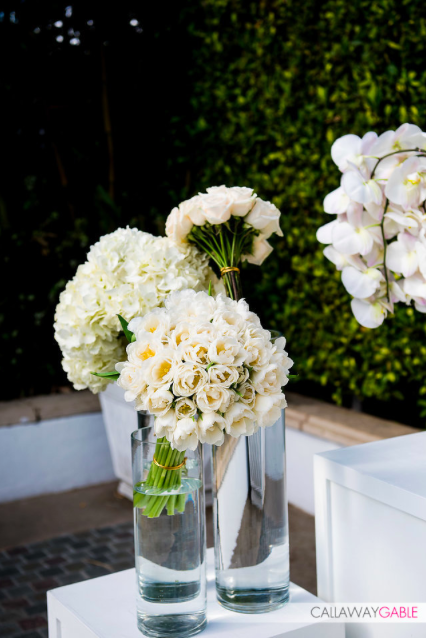 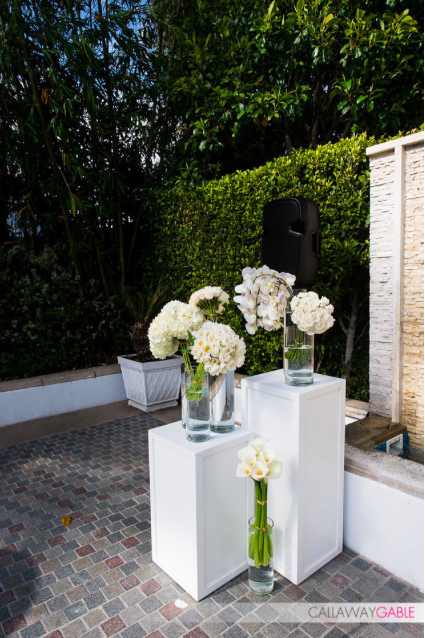 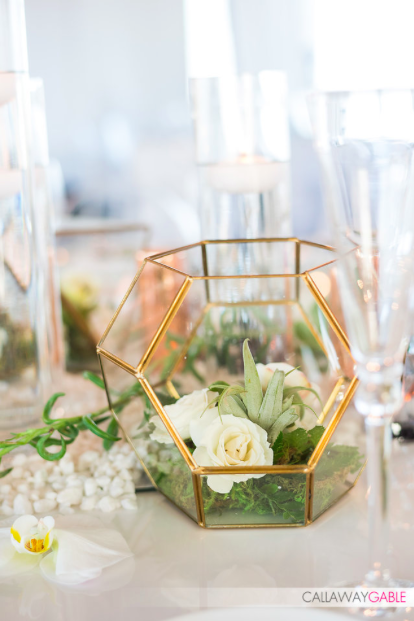 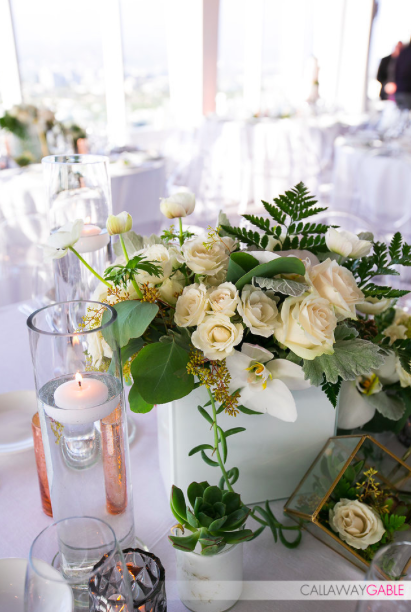 Using mostly white florals, we added some modern elements of large clear circular vases to bring in some height and attention to the ceremony "alter". 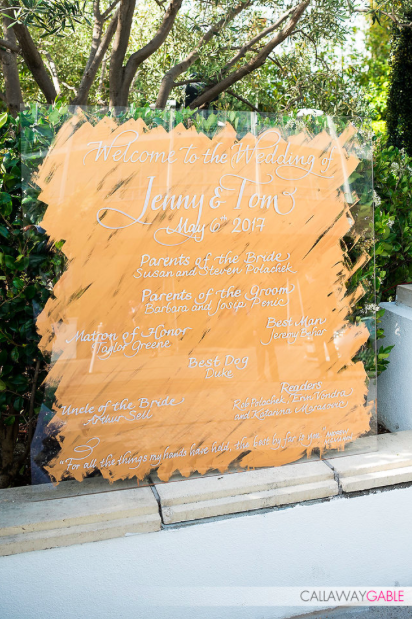 jenny and Tom were unique in the fact that they didn't go with a traditional alter rather used a brick wall with floral accents on the side while saying their "I Do's". 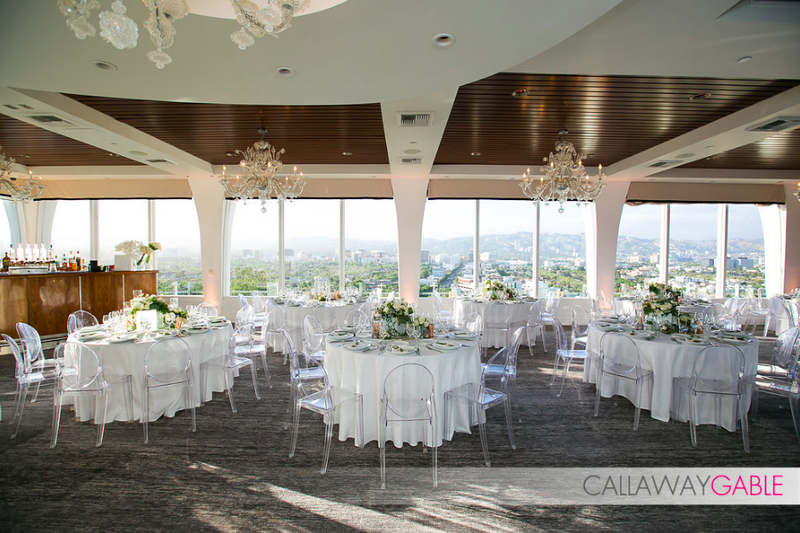 We continued the same design aesthetics into Jenny and Tom's reception but added a little more character and color to the tables.